This is a smart way to utilise the batteries of all these electric vehicles to make the best possible use of solar and wind energy, and even to accelerate the energy transition from fossil fuels to green power. We charge our electric vehicles when plenty of cheap solar and wind energy is available, so that we don’t have to power down wind and solar farms if the supply of solar and wind energy is greater than the demand. We use the vehicle batteries to store this clean energy, to draw on it later for cooking, showering or heating homes and business premises. At the same time this avoids billions having to be invested in the electricity grid to be able to cope with the growing demands on the grid. That’s because you avoid everyone making use of the grid at the same time. Smart Charging stations can ‘talk’ in two directions. Even from outside the charging station, communication is possible with the charging process. In this way, the supply of renewable energy can be matched to the driver’s needs. If an Electric Vehicle driver (EV-driver) wants to leave the next morning, the battery will be charged at night when there is a lot of wind power available and little demand (because everyone is sleeping and factories run at a lower capacity). The EV-driver can indicate his or her precise preferences easily via mobile phone applications. By adding intelligence to the system, an optimal charging plan can be put together for a specific EV-driver. This plan takes into account personal preferences, the available capacity of the electricity grid, the availability of renewable energy, and its price. 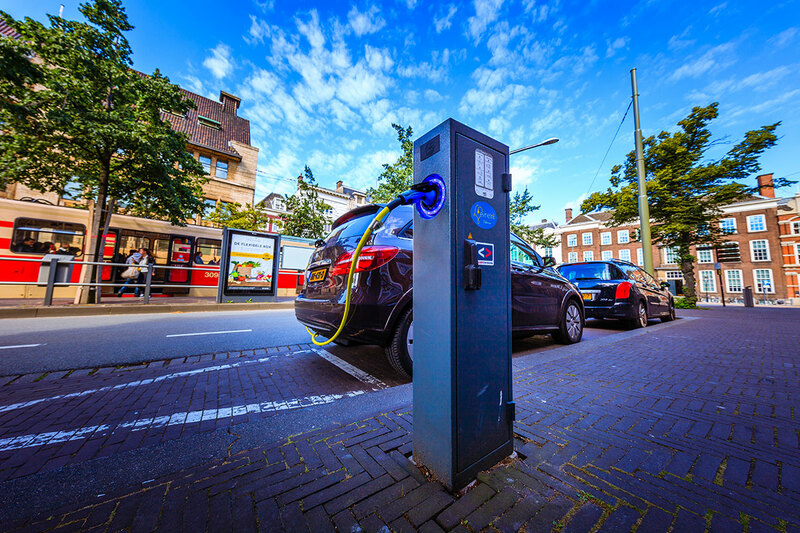 A charging station without any Smart Charging software cannot handle these charging plans and therefore will not take these aspects of Smart Charging into account.